A personal tech blog. Tag along as I work on my projects. Portal Speakers: Part 2. This one is going to be difficult. First, I will add one more video of the subwoofer. I had fun with this. I know you are all thinking that I should play “Still Alive.” I promise, it will come when the entire speaker project is over. For now, enjoy shelf shaking sub-brating goodness. 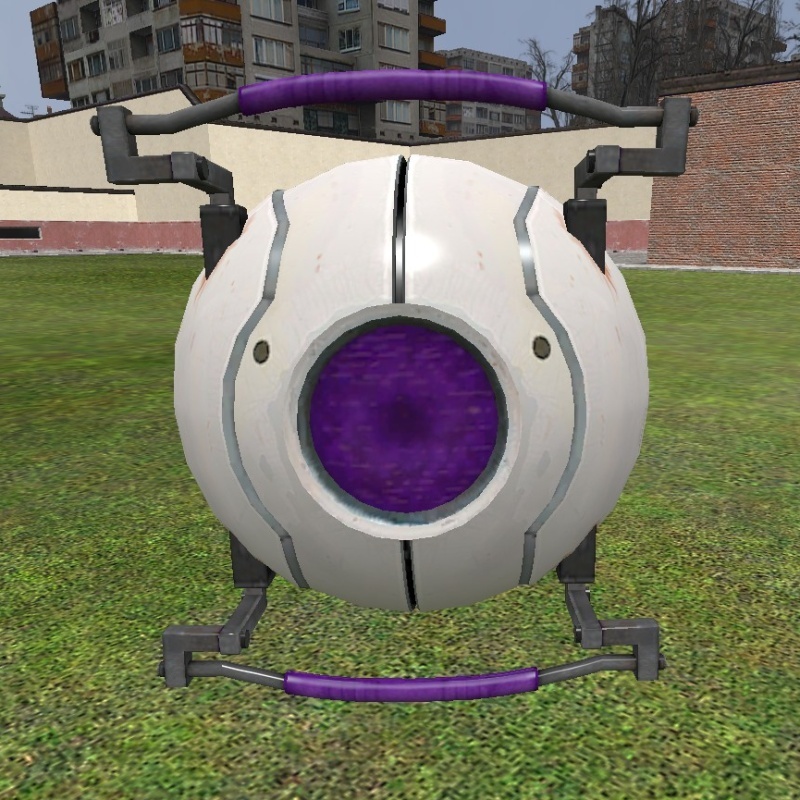 The speakers in the end are going to look like GlaDos Eyes. I hoped in the beginning that I could just find some spheres that were the right size and mod them, but I never found anything that looked like it was going to work. I eventually stumbled across this project over at partsexpress.com, which is where I got all the parts for the subwoofer. 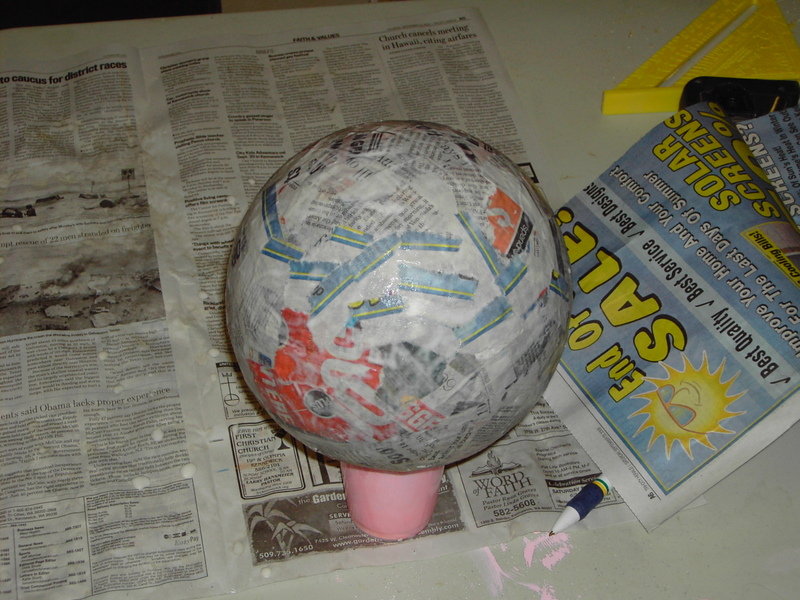 The project explained how he made the spheres. I calculated that with my 2.75inch speaker drivers that I would want the spheres to be between six and seven inches in diameter. Sadly, I could not for the life of me find a candle mold that size. This of course meant one thing, I get to make my own mold. I went to Fred Meyer (I hate Wal-Mart) and got a ball. 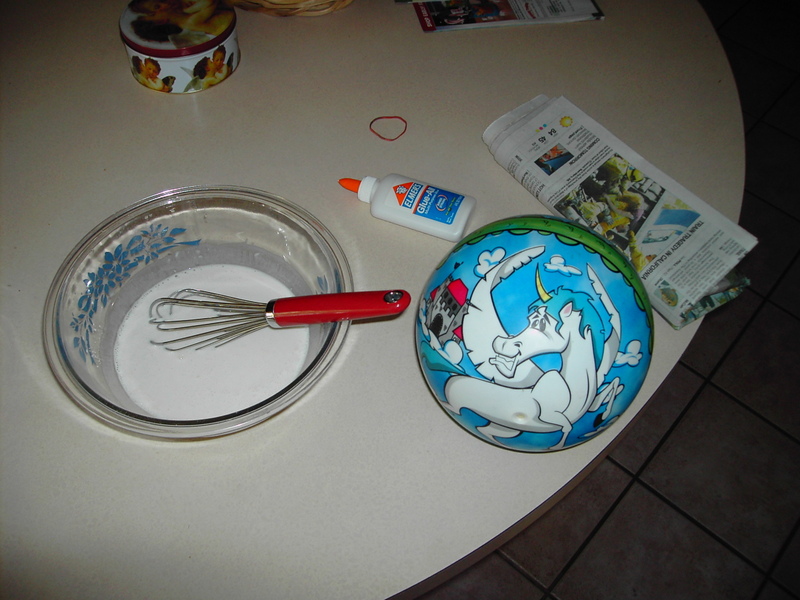 I came home and mixed up some paper mache, which consisted of 1/2 cup flour, 1 cup water, and 4oz of Elmer’s Glue. I then ripped up the day’s paper and put about five layers on. This was fun and messy. 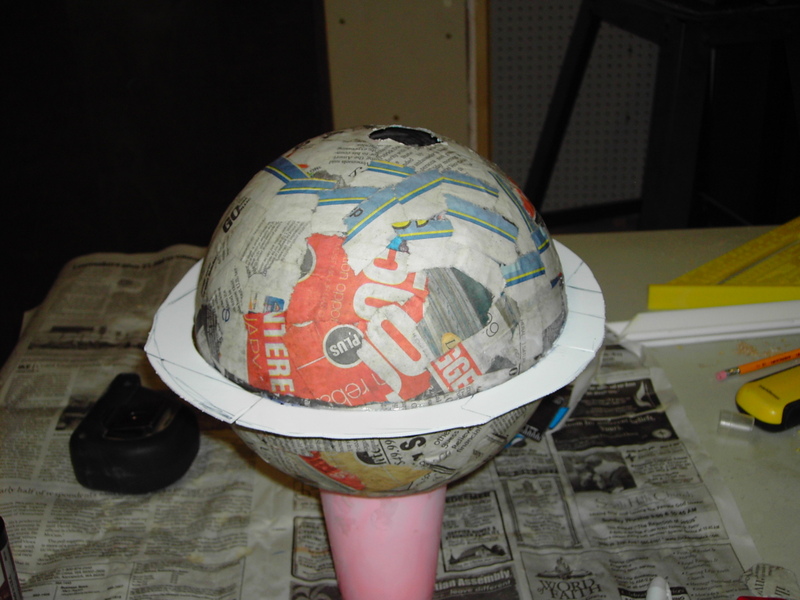 After it dried I made a template for a rim that would go around the circumference of the sphere. 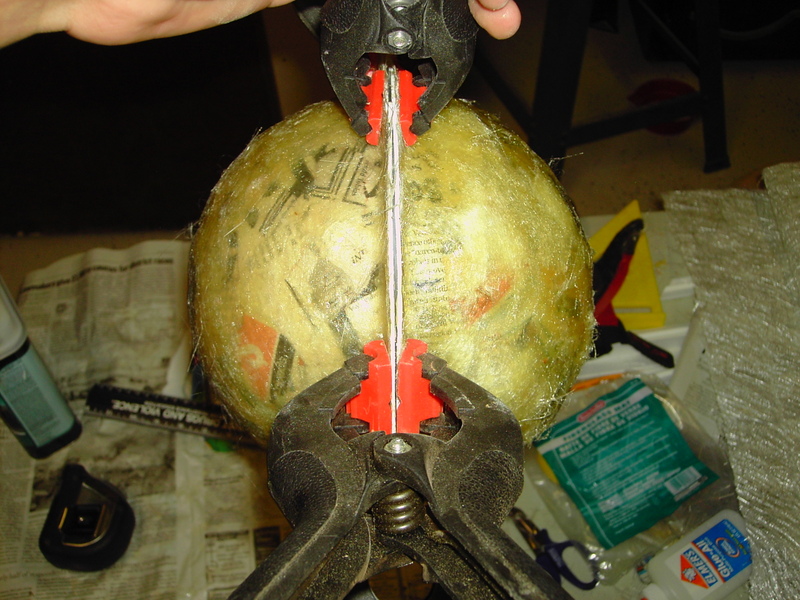 And cut it out and glued it around the middle. 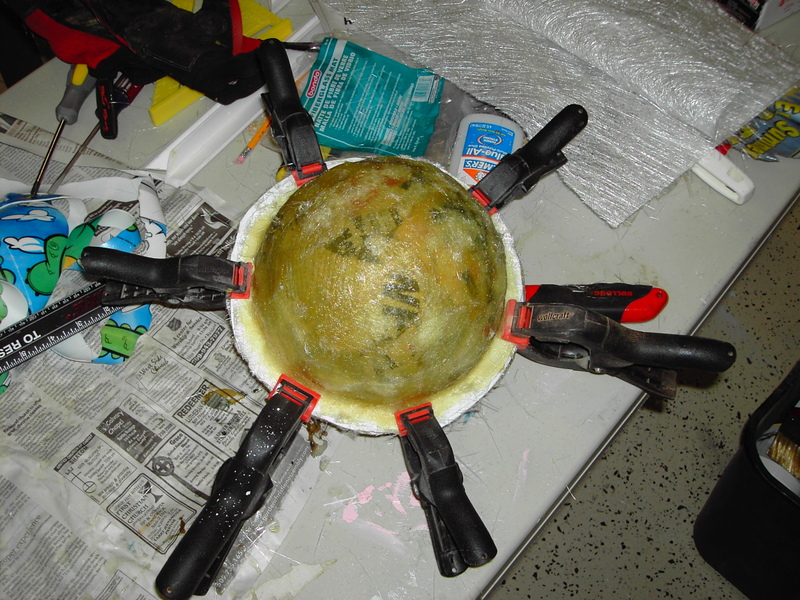 To add strength as a mold, I then put fiberglass over what I had. Here are the two halves after the fiberglass and rims are added. They are only clamped together, they are seperate halves. Eventually I will cut a hole in one and it will be the hole through which I slush cast some Tufcal, which is a plaster which is fiber reinforced to reduce chipping. 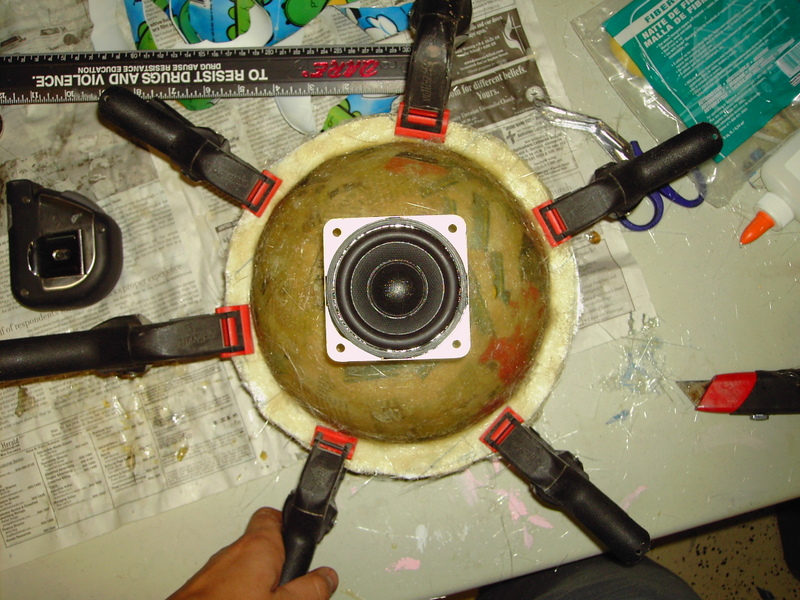 The speakers will eventually be mounted to the plaster spheres. Next up I have one of the speakers on top of the mold for a size reference. 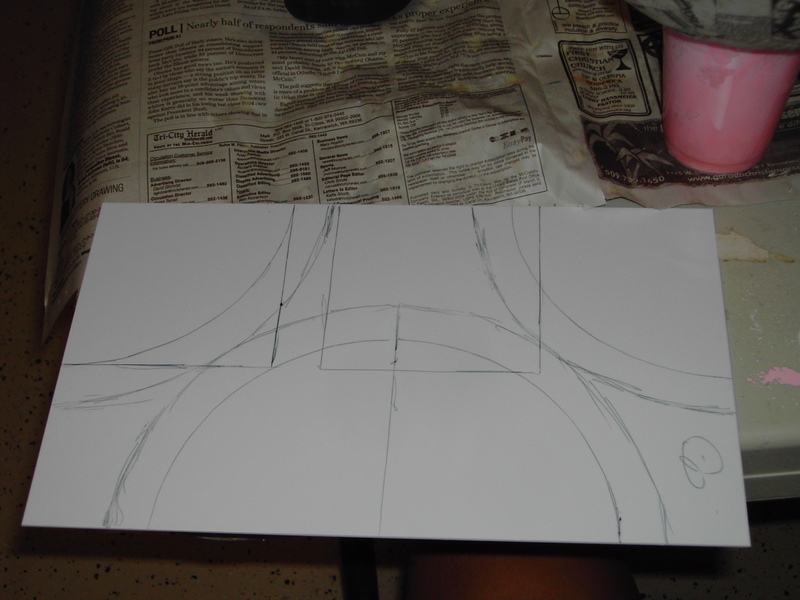 I will compare this to one of GlaDos’ eyes and perhaps you can get an idea of the eventual final product. This entry was posted on Tuesday, September 16th, 2008 at 9:14 pm and is filed under Uncategorized. You can follow any responses to this entry through the RSS 2.0 feed. You can leave a response, or trackback from your own site. So far so good, I love it!